Each year The Colonial Dames of America makes grants to several institutions for graduate student fellowships and awards. 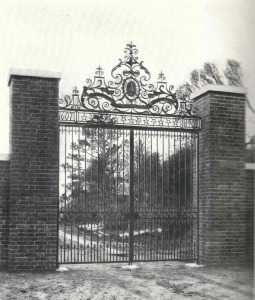 CDA has had a relationship with this project since 1907, when the society donated the memorial gates. A grant to Historic Jamestowne Rediscovery supports a Colonial Dames of America Fellow in Archaeology working under the supervision of archaeologists at Historic Jamestowne, the site of the first permanent English settlement in North America. Since the discovery of the original palisade fortifications, archaeologists have continued to make significant finds. Excavations of the remains of “Jane,” who died during the 1609-1610 Starving Time; a fully articulated skeleton of an 18th century horse, and four graves within the 1608 church (the first Protestant Church in North America) have made a dramatic impact on our understanding of that period. A grant to the Omohundro Institute of Early American History and Culture at the College of William and Mary in Williamsburg, Virginia supports a fellowship in historical editing. The fellowship offers a talented young graduate student the opportunity to build upon the skills that she or he has acquired as an Institute editorial apprentice during the academic year. The fellowship supports his or her continued editorial work throughout the summer following the apprenticeship and thus makes a significant contribution to the Institute’s ability to maintain the high standards for which all of its publications—the William and Mary Quarterly and book manuscripts—are known. A grant to the Graduate Center of History at the City University of New York is awarded to a graduate student writing a dissertation on a topic in American history. The 2014 recipient was Christopher Morell, whose research focuses on female benevolence in the Early Republic, including charitable organizations as sites of contested political space and the relationship between charitable workers and the working-class community of New York City. This gift was presented in honor of Presidential Professor of History, Carol Berkin.